Badass, bold and downright ballsy! We put the call out for you, our readers, to let us know about the most amazing men and women from the Irish outdoor and adventure scene in 2018! And you didn’t let us down. You can vote for these by scrolling to the bottom of the article! 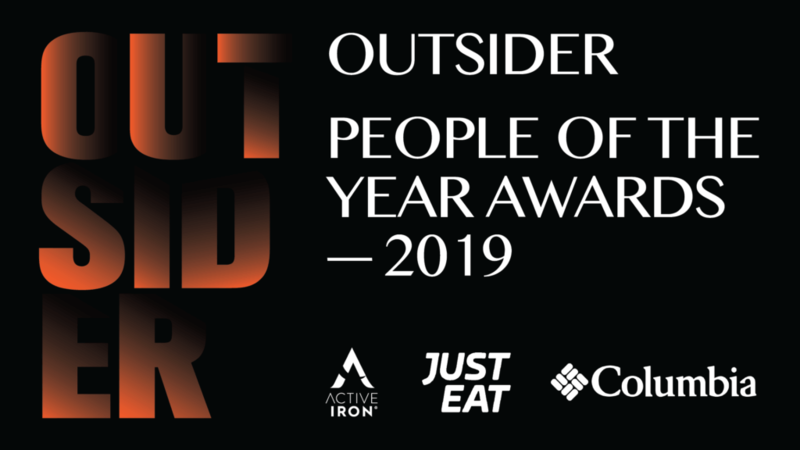 The following seven legends are our nominees for The Olly O’Neill Most Inspiring Person Award brought to you by Great Outdoors. 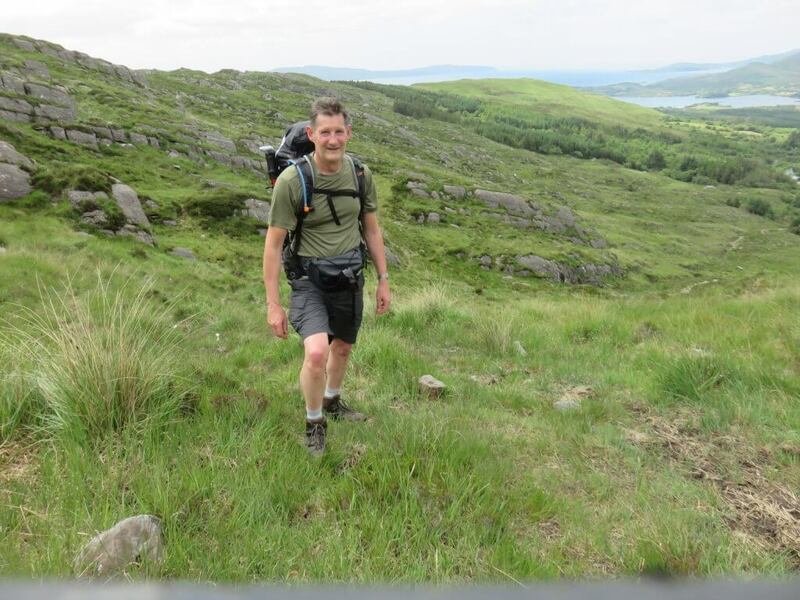 When Dermot Breen’s wife Jacqui passed away in 2015 from ovarian cancer, the Omagh man (57) packed a rucksack and walked the Ulster Way in her memory. The following year, he walked the Camino del Norte. His latest adventure was the 1,000km Ireland Way. This arduous route stretches from Castletownbere on the Beara Peninsula in Co Cork to Ballycastle on the north Antrim coast. “I finished the Camino and I didn’t think I’d ever do a long walk again. But when I heard that the Ireland Way finished in Ballycastle, that was the clincher for me,” says Dermot. It’s where my wife grew up. It’s her hometown and that’s where her remains are buried as well. I thought ‘I have to do it now.’ It was a true pilgrimage in that respect. 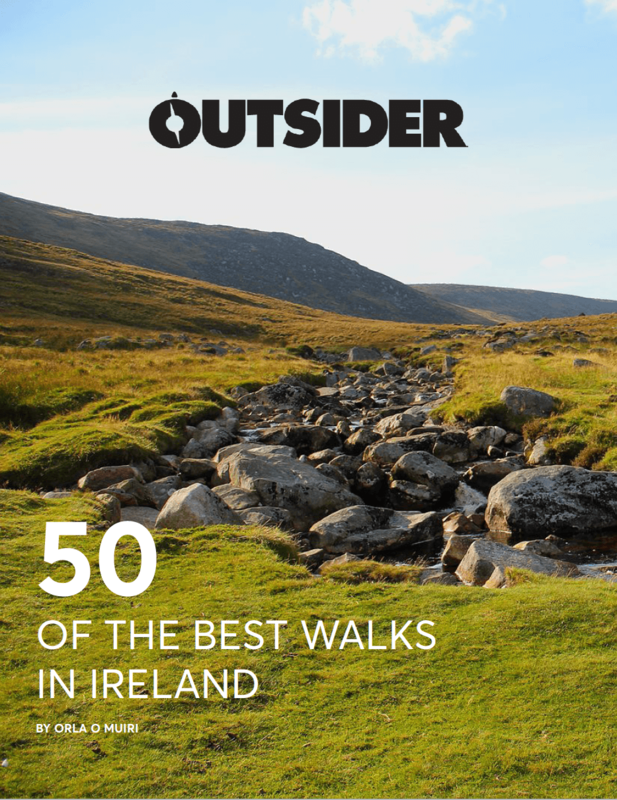 Walking everything from 26km to 42km a day for 42 days is no small feat, especially in the wilds of Ireland. “The terrain plays such a huge part in the distance you can cover,” recounts Dermot. “Sixteen kilometres over the Cork mountains is probably equivalent to 32km on the flat. After six weeks of walking, Dermot arrived at Jacqui’s graveside in Ballycastle. The father-of-two has raised more than €38,000 from his walks for Cancer Research UK. Many of us spend the majority of your life working. More than 30 years slaving away, paying that mortgage, raising your kids and then, at the end of it all, you might pop open a bottle of prosecco or champagne (if you are really fancy), put your feet up and start watching daytime TV. Dermot Higgins who hails form Skerries in Co Dublin, on the other hand, chose to do things a little differently. To celebrate his retirement from teaching, the 56-year-old set off to cycle 30,000km around the globe. I’ve been thinking about doing this all my life. I figured the most efficient way to get around the world was on the most efficient machine ever invented, the bicycle. The nine months that followed were exciting, unpredictable, liberating – and at times lonely. On 6 April 2018, the Dubliner freewheeled his way back down the road to his front door and unpacked his panniers for the last time. The 56-year-old returned a changed man, sporting a rainbow beard, weighing 15kg less and with a bank account €10,000 lighter. 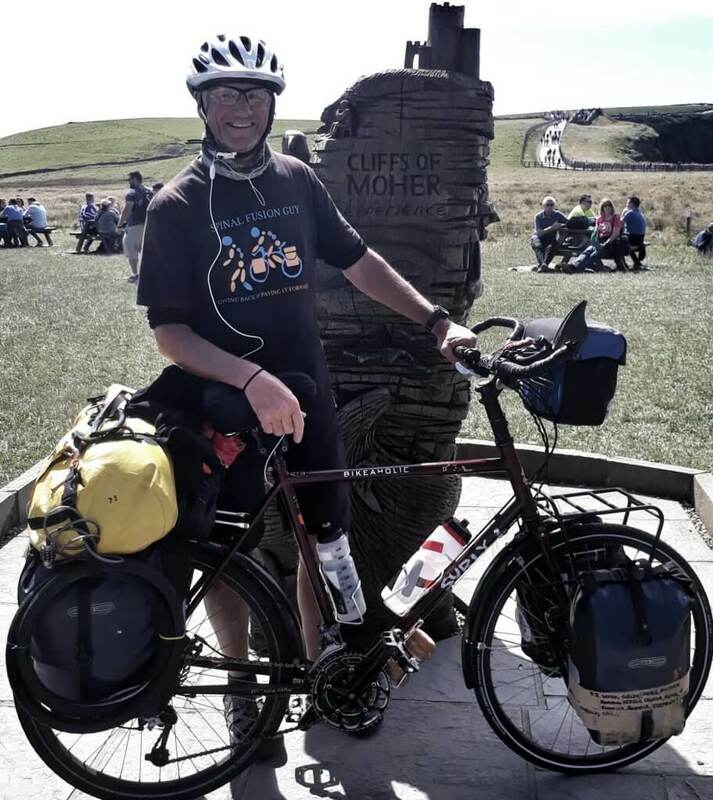 He walks away from this, the ultimate adventure, having raised €17,500 for Trócaire and with the title of ‘the oldest person to cycle around the world’ bestowed upon him. If you are a swimmer, a cyclist, a runner or a triathlete, then we’re pretty sure the thought of an Ironman has danced around your mind at least once. You may have followed through and paid your admission fee, or like many, you may have quickly pushed the thought from your mind with the excuse that you are not capable. Galway woman Caroline Heffernan (48) from Tri Lakes Triathlon Club will soon rid you of your excuses. 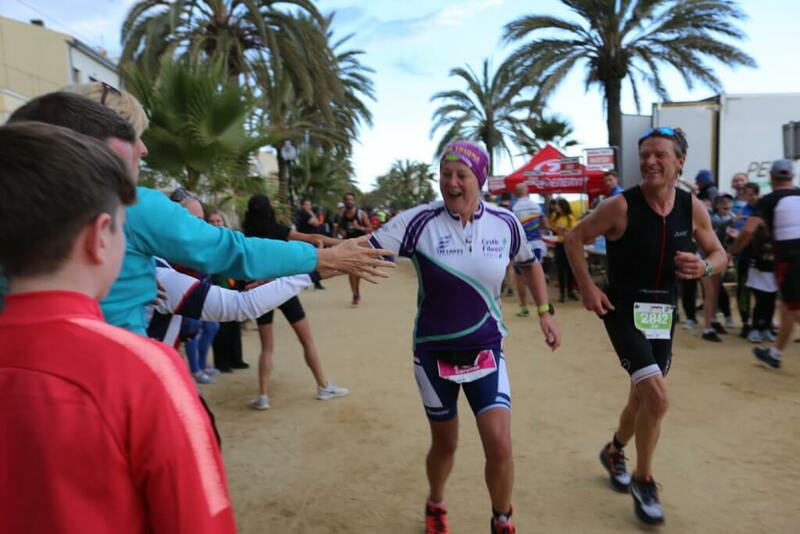 Despite having cystic fibrosis (CF) and on 7 October 2018 she competed in Ironman Barcelona to become, what we believe, is the first Irish person with CF to complete an Ironman. I just won’t give in. I’m as stubborn as a mule. “In my teenage years, everyone that I met with CF, 90% of them have now passed away. It was quite an emotional roller coaster. I somehow managed to turn the negatives into positives and I thought, ‘I’ll live for them as well’,” she recounts. Already a triathlete and member of Tri Lakes triathlon club in Galway, Caroline started to then entertain the possibility that she may be able to do an Ironman! And that’s just what she did! Every year without fail, people flock to the foot of Croagh Patrick in Co Mayo on Reek Sunday. They pull off their runners, peel off their socks and set about slowly making their way up the side of the mountain in an act of penance. The tradition is more 5,000 years old and it’s so ingrained in our history that no one bats an eyelid if you were to mention doing it. But, Claremorris local Eamonn Keaveney (26) has taken the art of baring one’s soles to a whole new level. In 2016, he walked barefoot for 2,000km around Ireland in aid of Pieta House. 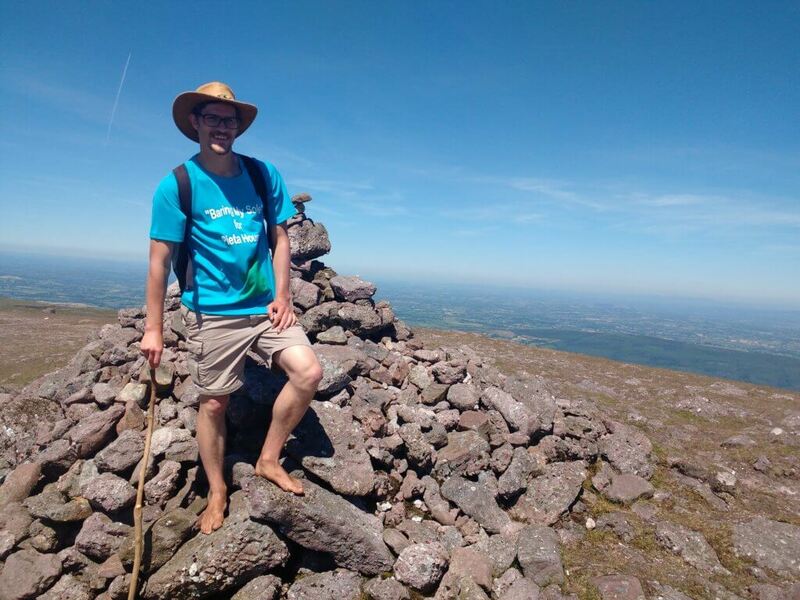 And this summer he climbed 10 of Ireland’s highest mountains in 10 days … barefoot. It all sounds like it went swimmingly until you ask Eamonn about his toes. There were two women walking their dog and they were looking at me like I was an absolute header. The peaks that Eamonn climbed were Mweelrea in Mayo, Mt Brandon and Carrauntoohill in Kerry, Galtymore in Tipperary, Mt Leinster in Wexford, Lugnaquilla in Wicklow, Slieve Donard in Down, Sawel Mountain in Tyrone, Errigal in Donegal and Croagh Patrick in Mayo. Neil Hoey (18) was just 11 years old when he lost his leg to a cancer called osteosarcoma. That hasn’t slowed the Dubliner down though. A need to raise money for the Irish amputee footballing team saw Neil make a move into more adventurous pursuits. 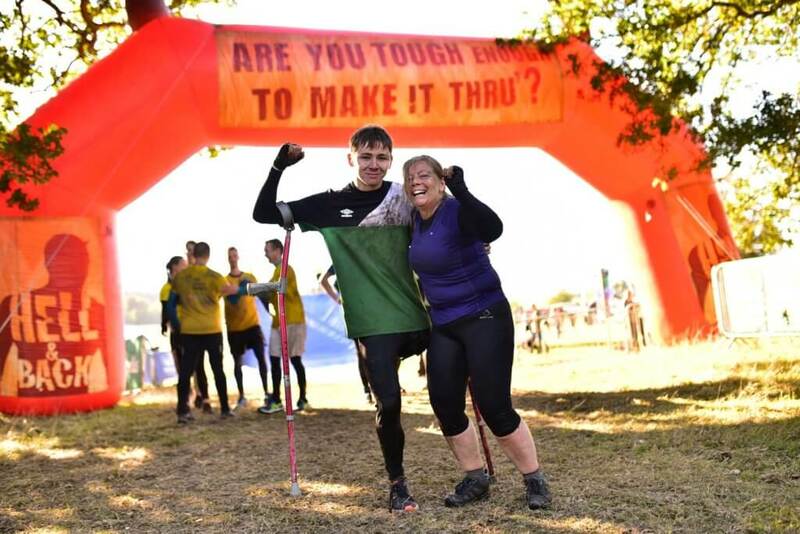 Despite having an artificial leg and a set of crutches, he signed up for Hell & Back with his mom, Aideen. Not only did he complete the 7km long obstacle course, making him the first amputee to do so, but he also won The Hang Tough Challenge. In Hell & Back, before each wave starts, there is a competition where participants attempt to hang for as long as possible from a set of monkey bars. There is a €500 prize up for grabs. Before Neil’s turn, the leading time was 5 minutes and 12 seconds, which was already a record at Hell & Back. But once Neil took to the platform, he obliterated the record, hanging for more than eight minutes. Sport is something that has helped Neil to cope with what happened to him. I realised how much I could do, how many others like me there were and how just because I lost a leg doesn’t mean I can’t stay fit and active. Born in New Zealand and educated in Wales before moving to Ireland, Paul Franklin (47) is a force to be reckoned with. Enduring a major spinal injury back in 1971 when he was just 13 years old, Paul has endured more physical, mental, and emotional pain than most of us could even fathom. Yet, none of this could keep him from pursuing his passion – cycling. In the years to follow, Paul sustained many more serious injuries and surgeries that would have benched nearly anyone else. “I fractured my left fibula parachuting in 1980. In 1999, I had my right knee operated on, then in 2000 I had my corpectomy [a surgical procedure that involves removing all or part of the vertebral body]. My spinal cord was touching my vertebrae and that’s when they fused my C2, 3, and 4. Then I had both of my shoulders operated on in 2002 and then I had my lower back fused, L5 to H1, in 2014,” says Paul. But, nothing has stopped Paul cycling. 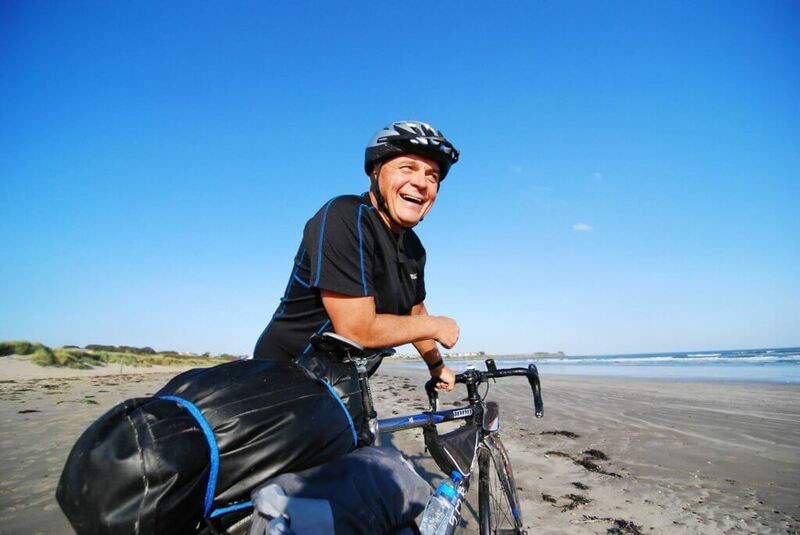 Through all of his physical traumas and surgeries, he has done cycling tours in 20 different countries, including Ireland, Japan, Norway, and New Zealand. This year’s 80-day pedal-powered journey comprised a whopping 3,744km through Norway and Ireland from 30 May to 17 August. “The great thing is that I’m pushing myself to know what I can and can’t do. I think people in your life motivate you, or inspire you and encourage you to go far beyond what you think is possible,” says Paul. 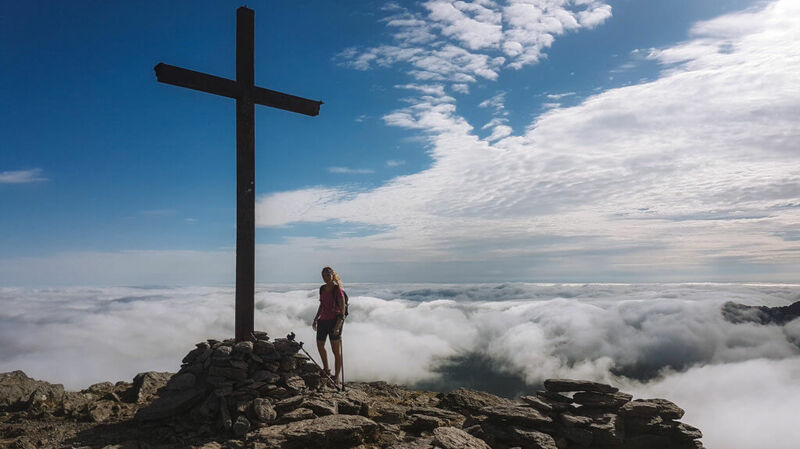 Donegal woman and cancer survivor Nikki Bradley entered the history books once again this year, this time for becoming the first crutch-user to climb the four peaks of Carrauntoohil, Co Kerry, Croagh Patrick, Co Mayo, Slieve Donard, Co Down, and Errigal, Co Donegal, all within 32 hours. Diagnosed with a rare form of bone cancer at 16, Nikki (31) is one of fewer than 10 people in the world to survive her form of Ewing’s sarcoma. But treatment has left Nikki with severe problems with her legs meaning that she now permanently uses crutches. However, that has never stopped Nikki. At 6 a.m. on 21 July 2018, along with Irish soldier Billy Fanneran, mountaineer Iain Miller and boyfriend Ian Parke, Nikki set off to climb Carrauntoohil, Croagh Patrick, Slieve Donard and Errigal. The 32 hours that followed were filled with pain, elation, fatigue and freedom. Nikki’s goal was to raise €50,000 for three charities: The Irish Cancer Society, Action Cancer and The Ross Nugent Foundation. By the half-way mark, the impact of every step was causing the Donegal woman severe pain. “My hands started to lose all feeling just from being wrapped around the crutches for so long. It was getting tougher to just switch off and ignore the pain. When you’re tired, you do tend to focus on the negative. That climb took five hours, which is a very long time, but we physically couldn’t go faster. I couldn’t anyway. We were running on empty,” says Nikki. Yet on she trudged and soon she was descending her final mountain, Errigal. On the descent, I could see a small crowd gathering. It was my family, friends and also people from the three charities, all gathered together with a banner. I got quite emotional. Ciarán Murphy’s story is somewhat of a zero to hero story. Like many out there, the forty-five-year-old bought a bike on the Cycle to Work scheme years ago and started with enthusiasm that soon dwindled. What he needed was a bit of a motivation, a cause that was bigger than himself. That cause ended up being the charity Cystic Fibrosis Ireland. Bernie Priestly, Head of Sport Ireland’s ethics unit, lost her 15-year-old daughter Triona to Cystic Fibrosis four years ago. As a National Inclusion and Children’s Officer, Ciarán works closely with Bernie, and her story really resonated with him. At the same time, Ciarán, who hails from Dublin but now lives in Galway, was struggling with his own health due to ulcerative colitis. “That had me on steroids and medication. I was overweight and was not exercising or feeling great,” he recounts. 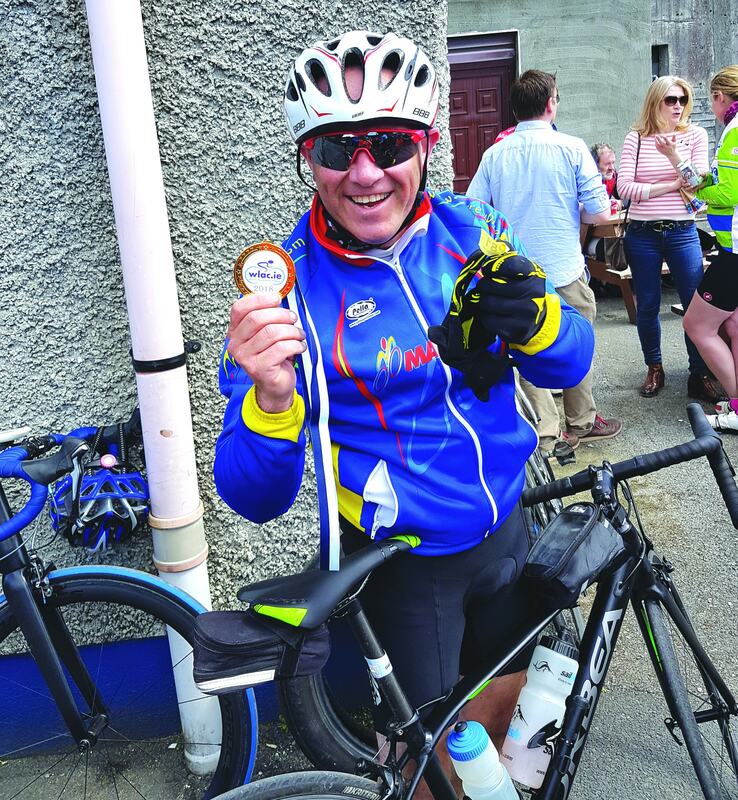 But that didn’t strop Ciarán from cycling from Malin Head to Mizen Head to raise funds for the charity. That’s 160km a day for four days. Ciaran’s story is one that many will be familiar with when it comes to fitness. “I was always an outdoor, active kid. But then you hit that midlife mode and get a belly, and I got the illness. Colitis causes chronic fatigue; you lose your mojo for doing things. It’s one of those illnesses that you don’t talk about at the dinner table. “I have a colostomy bag now, so I’m off my meds and steroids. The bag comes with its own problems. When you go out on the bike for four or five hours at a time, that’s a lot of sweat and a lot of time since your breakfast. My bag tends to fill up, and I’d have to empty it or it would fall off from sweat. Sometimes I would bleed from where the stoma was getting chaffed and rubbed. There are new learning experiences, but you get on with it. It’s a small price to pay. Paul Llewelyn Franklin, gets my vote.